I was reading the latest blog post on one of the many that I follow and it was about the signs that let you know you were meant to be a writer. It’s funny because lately I’ve been wondering, since I have been a little stalled or slow moving on my latest novel and it doesn’t seem like I am moving as quickly as I would like to with it, does that mean I am not really a writer any more. I mean sure there are obviously other forms of writing (article writing, blog writing, etc.) 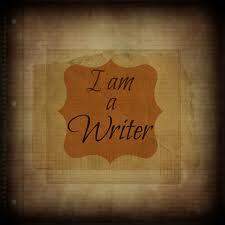 that I do and have become better at throughout the years but since novel writing was I initially wanted to become known for, sometimes I feel like I am not as much of a writer anymore. Okay true, those thoughts only last a good minute or so and then I realize that it’s crazy because of course I am a writer. Well when I was reading the list on this blog post this morning with the signs that you are meant to be a writer I realized that over half of that list applied to me, in fact maybe all but one (there are 11) I could point out as identifying with. However, it made me think of a few more that weren’t on the list (not exactly anyway) that also apply as well. 1) I no longer watch movies and T.V. for pure entertainment but rather more so with the thought in mind of how I could write the script better or how I can write something equally as good. 2) I still read books the traditional way and write in longhand a lot of the time. I know that these old traditions have seemingly been tossed out and replaced with newer (supposedly better) technology but I haven’t given up those old ways of writing and reading. 3) My text messages turn out to be pages in which I go over before sending to check the grammar and spelling to make sure it is written well before sending it. 4) I still believe in writing my own words inside of a card for any special occasion and in fact can take up a whole entire side of a card writing it. 5) My idea of a good night is when I can finally sit down and instead of working on a paper for school or even an article, I can actually work on a novel in progress or ideas for one that has yet to be started. 6) I still wake up with story plots in my head in which I have to actually use the voice memo feature on my phone (which if you knew me you know how much I hate using this feature to record ideas) to get the idea out before I forget it (because my short term memory isn’t as good as it used to be). 7) I love stocking up on notebooks and pretty pens and any kind of really beautiful stationary and have a hard time even going in staples for fear of how much I might walk out with. These are just a few of the additions that I would make to the list I read this morning in which about ten of the eleven things on it apply to me. It’s not that I need constant reminders of why writing is what I am meant to do but sometimes I start to wonder. You spend so much time working on a craft, and cultivating your career, and having pride in your work that it becomes doubtful when it seems as if none if it is working and like none of the hard work you do is propelling you forward. I have to keep remembering, slow and steady sometimes is really the best way to do things. I have to have patience because writing makes me happy and it is just that important to me. What signs on this list or the list in the blog post I read can you apply to yourself? What signs do you think you would add that are not on this list? I was reading blog posts this morning, catching up on posts from the last couple of days of some of the blogs that I subscribe to. I came across one by Catherine Ryan Howard discussing National Novel Writing Month and some of the backlash that the yearly event gets from “real writers” who turn down their noses at the idea of creating a novel in 30 days. Her blog post listed a whole host of reasons why she discarded the notion that NaNoWriMo is just nonsense and somehow belittles the profession of writing. Until reading her blog post I had never known anyone to say anything bad about NaNoWriMo or that indicated that NaNoWriMo was something that was not for “real writers”. After all, I’ve done NaNoWriMo for many years and I don’t consider myself anything less than a real writer. It got me to thinking about just how many people that we don’t realize actually get the novels that they began writing during a National Novel Writing Month event published and just how important something like NaNoWriMo really is. It also made me think about how many people do themselves in by trying to actually complete a novel (writing, editing, rewriting, and re-editing again many times over) in those 30 days. Maybe that’s where people get overwhelmed at with the thought of NaNoWriMo. So many people (myself included) have tried to complete the impossible task of writing and actually finishing a novel in 30 days that they forget to have fun while they are doing it. Yes writing is (hard) work, but I think that a lot of times what we writers tend to forget during the month of November is that it should still be fun as well. There should still be passion behind the words we write and not just a continuous rush to get it done no matter what. If you are striving for a perfect draft the first time out the gate during NaNoWriMo then you may just be disappointed. Don’t get caught up in exactly what the end product is supposed to be. After you’ve come up with the plot, you’ve done your outline, and you’ve mapped out your schedule, just sit down and write. Don’t try and make it perfect, don’t go back and edit while you’re writing, don’t agonize over whether you’re going to be able to get it published once it’s done. Just sit down, enjoy the characters that are honoring you with telling their story, and write! I promise you that if you enjoy what you are writing, then people will almost certainly enjoy reading what you have written. Sometime last week (it may have been the week before that) Ms. L sent me a link to a blog post titled Don’t Break the Chain by a wonderful blogger named Catherine Ryan Howard who I am now following (and you all should be too). Ms. L knows I have been struggling with finding the time to write and work on all things related to my writing business so she thought that this would be helpful. Well as usual, Ms. L always knows just what I need to read (and hear) to get me jump started again. Of course it helped to know that this post also helped Ms. L as well because I knew that I was not alone in my struggles to be productive in my writing efforts. Well the blog post talked about many things in regards to one being more productive but more importantly it gave the idea of marking off days on a calendar with a red X for every day that you have accomplished your daily writing goals, whether it be actually writing or working on the business side of your writing career, and of course after so many days of seeing a chain of red X’s you get into the mode of not wanting to break that chain and having to see those X’s stare you in the face everyday becomes an incentive to actually get things done. Well there is a website that helps with that, for those of us who don’t want to go out and buy a huge wall calendar to mark down the days. The website (once you register) will allow you to mark each day with a red square for every day that you have achieved your daily goals and you can even create other chains for you business efforts or whatever other goals you want to set. I signed up (almost immediately) and have found it to be extremely helpful. I have actually been getting things done because I simply just don’t want to break the chains that I have created for myself. Who knew something so simple as marking off days on a calendar could be so helpful in keeping me focused and making me produce more work. I hope that any of you out there who is struggling with this very same issue clicks on the links to the websites and gets started on their road to becoming more productive.